At the recent MCM expo I had the opportunity to really dig my teeth into the latest iteration of the Street Fighter IV series of games, Ultra Street Fighter IV which adds even more fighters to the roster, along with new features and tweaks which seems to put everyone on an equal level. It’s the Street Fighter we know and love, but is it worth the buy again? One of the big things announced for the game was the addition of 5 new characters and 6 new stages that have been brought over from Street Fighter X Tekken. The fighters are Hugo, Poison, Rolento, Elena and brand new addition Decapre which I’ll get into a little later on. The Street Fighter X Tekken characters have been reworked to work in the Street Fighter IV engine and have been given new ultra and super moves. Ultimately the Street Fighter X Tekken characters seem to fit in just swimmingly and I can easily see players picking up the new additions. Hugo is practically a wall and once he gets you in the corner, be prepared for a struggle to get out. Poison is quick and agile with options to get over those who rely too heavily on fireballs. Elena probably has the most unique move set of the cast with a mix of highs and lows along with an ultra that recovers her health… yep you read that right. Rolento is as crazy as ever with good range thanks to his staff and with ability to mix up his opponents via off the walls and the use of the staff makes him definitely one to look out for in the future. Poison and C. Viper duke it out. So now we turn our attention to the final (and actual new) character Decapre. Like many people I was disappointed at first due to her many similarities to Cammy and felt that it was a wasted opportunity to bring in a truly unique fighter similar to what they did in Super Street Fighter IV with Juri and Hakan, however as the old saying goes, don’t judge a book by its cover and believe me when I say that Decapre and Cammy may look alike, but their movesets say something completely different. A lot of Decapre’s attacks are charge moves and therefore cannot be used so easily, and as mentioned before, her moveset is completely different using a lot of attacks that make use of her claw and teleportation abilities. I believe the character is focused around using a strong strategy to overwhelm you opponents rather than the rushdown game we expect from Cammy. With Ultra comes a bunch of balance changes to the roster to further put everyone on an equal playing field. In order to do this a huge amount of feedback was taken from players all over the world and the result I feel has helped the game become a lot more competitive. Certain characters who I felt before did not stand a chance can now hang with the best, so I hope to be seeing a lot more of a variety in the future rather than the usual. Characters can now also use both of their ultras in a match at the price of reduced damage, so it’ll be interesting to see the kind of strategies players will come up with to make use of it, adding a whole new edge and flavour to matches. Lastly like Street Fighter X Tekken you can now train online and get ready for all those situations you’ll encounter. Decapre showing that she isn't some shy newcomer. 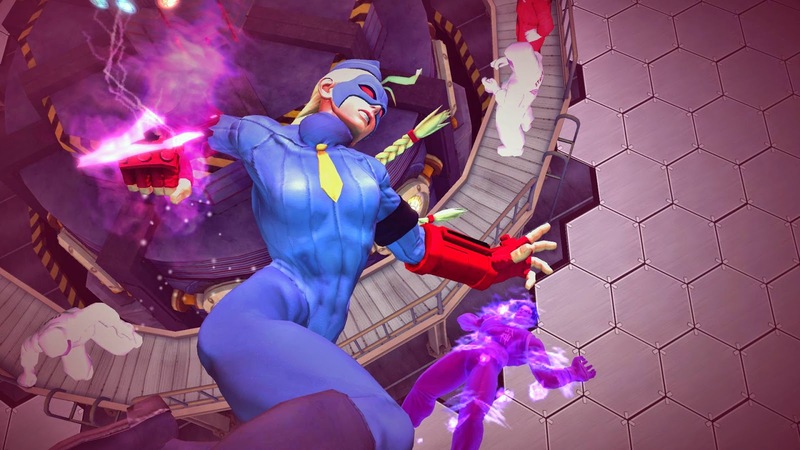 Ultra Street Fighter IV looks to be everything the series was meant to become in one package. We’ll definitely be seeing a lot more exciting matches now that everyone is on an equal playing field and the additional features I’m sure will be appreciated by many. I honestly believe this to be the final hurrah for the Street Fighter IV series and I look forward to seeing what Capcom does next, especially on the PlayStation 4 and Xbox One. Ultra Street Fighter IV will be available digitally for console on June 3rd with the retail version coming along on August 5th. PC people won’t have to wait long as that version will be dropping August 8th. Also check us out on the social networks!